You have planned your trek to a wild world. Packed lots of stuff for camping. You got a great camera, chic accessories, warm clothes and a pair of expensive sports shoes. Wait! But you got sports shoes and there is a whole lot of difference between sports shoes and trekking shoes. 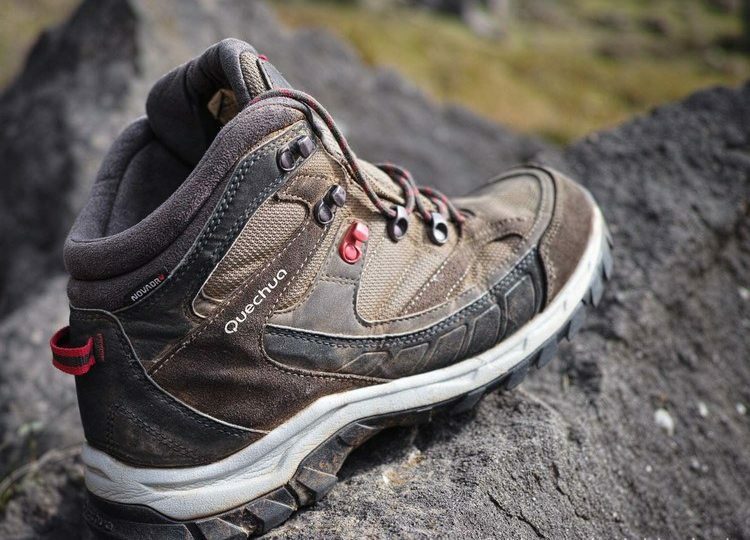 You might be using your favorite expensive sports shoes for running, playing and exercising but using them for trekking can be a very bad idea. Let me share with you an experience of trekking with sports shoes. A friend of mine once went to a trek in Himalayas. The trek was not tough but the terrains were sloppy and the area had a humid climatic condition. He was to trek at the place for the first time. So, without researching anything about trekking, he shopped few things and sports shoes were one of them. And with them he joined the trekking crew. On the very first day, while hiking he slipped from a moist grassy floor and broke his leg. That was very unfortunate and all this happened because of wrong choice of shoes. A lesson should be learnt from this instance, that not everything can fit perfectly in every situation; where a needle is needed, a knife can never be used there as a replacement. The basic requirement of any trekking shoes is the grip of their soles. You can find a variety of patterns on the bottom of the shoe which is referred to as outsole. These patterns may be rectangles, squares, circles or zig-zag lines. The trekking shoes with the best grip are the one with very less outsole surface area. That means cylindrical outgrowths and spikes are best for being slip resistant. So, choose according to the difficulty and nature of your trek. While trekking through a forest or a grassland, it is most probable to cross through moist surfaces and terrains. So, it is important that you have waterproof shoes or otherwise you may end up drenching yourself in water. It is also important especially in cold climatic areas, where getting wet feet means inviting hypothermia or other problems. For trekking in moist and humid areas, high ankle shoes are always recommended. They are not only comfortable but also they provide protection from any water inlet. You can easily compare between normal shoes and high ankle length trekking shoes by wearing them. High ankle shoes are no doubt the most comfortable one while hiking and climbing a slope. Both these factors are almost opposite. While warm trekking shoes are necessary for trekking in colder climatic regions; on the other hand breathable trekking shoes are required for hot tropical climates. You must never ignore these factors while choosing shoes. Imagine if you wear warm shoes for tropical hiking. Definitely you will get irritated by the heat under your feet. Similarly, taking breathable shoes which have good air circulation, to a cold, freezing areas could made you shiver. And you will curse your shoes for not being comfortable at the place. After selecting trekking shoes on the basis of above considerations, it is important to try and walk to a distance with them. By this you will know that you are comfortable in them or not. There is no use of purchasing any kind of trekking shoes that end up irritating your feet. Also, they should be lightweight or light enough so that you don’t feel as if a heavy weight is tied to your feet. This way you will never be comfortable while travelling to a long distance, especially when you have to climb slopes. Also read: Why you should prepare for month before going on Shrikhand Mahadev Trek. Choosing good trekking shoes is not an easy task nor it is quick. So, it is always recommended to spend a quality time analyzing and picking up the best one which fits all your needs. If still you have any query, feel free to ask in the comment section or through mail. We hope you get best from our services.